Holy Child Parish is blessed to have a Eucharistic Adoration Chapel, in which the Blessed Sacrament is exposed. 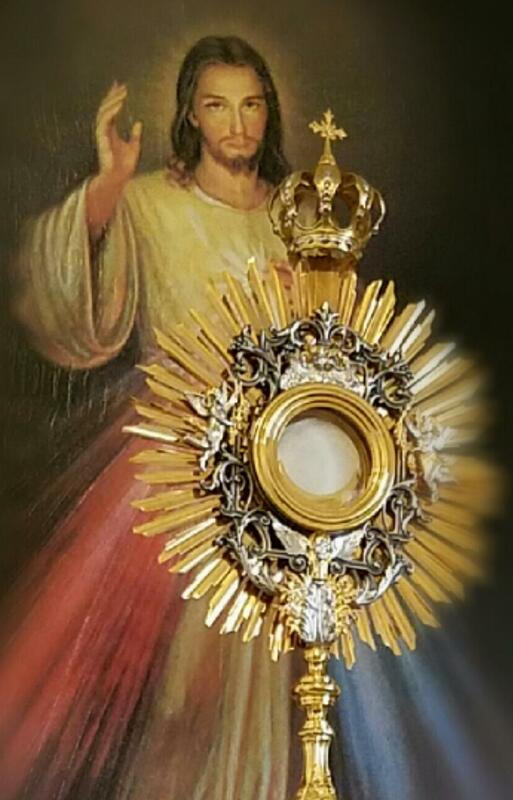 The Chapel is open Monday through Friday from 9am to 7pm, and provides a marvelous opportunity for prayer before our Lord and Savior, Who is truly present in the consecrated Host. In the Chapel, one may engage in silent contemplation, formal prayer, or spiritual reading. You are invited to set aside one hour of your time a week to be with the Lord in the Adoration Chapel, or stop in for a few minutes when you are able. Please visit Jesus in the Chapel as often as you can. These visits bring us grace and peace. The Adoration Chapel is located on the west side of St. Teresa Church and is most easily accessed from the Black Horse Pike. For the safety of all adorers, a security code, which can be obtained by calling the parish at 939-1681, is required to enter the chapel. SILENCE is the general rule for the Adoration Chapel. If there is a need for communication between individuals, please go out into the vestibule and talk softly so as not to disturb any others in the Chapel. Please do not bring any food or drink into the Adoration Chapel.